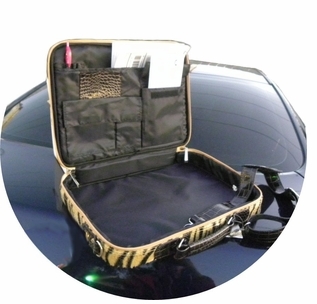 This Hi-fashion Laptop Carrier has a generous interior for transporting and protection for your laptop up to 16" wide. 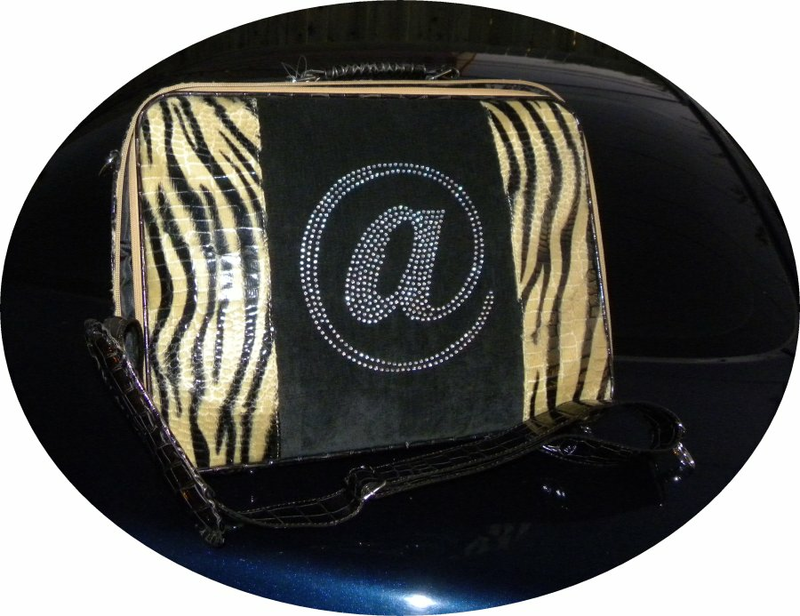 Featuring the classic "@" sign emblazoned on the front with rhinestones it is made to look like Faux Tiger Skin. In addition to the carrying handle, the detachable shoulder strap makes for comfortable toting. 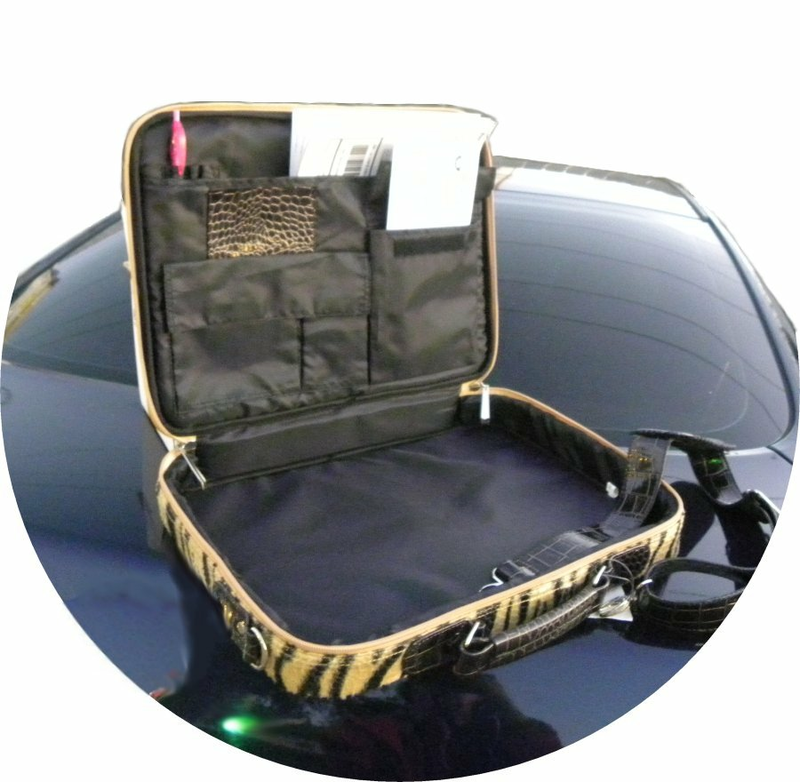 There is a velcro pocket on the back side and lots of pockets for pens, papers and files on the inside. A perfect for that Gal or Grad on your Gift list!